Can Your Readers Share Your Content? Easily? It’s critically important to make your web pages easy for your visitors to share with their family and friends via social media. Do you have share tools on all of your web pages? Recently, I ran across a web page on a large site that I wanted to share with my Facebook and Twitter followers. I looked on the page for a share tool that would let me easily post the piece. You see mine on the side of this page. Unfortunately, no share tools were on the page I wanted to share. That meant I would have to copy and paste the desired web address into my various social media accounts manually. I really liked the web page and was motivated to share it, so I went ahead and did the extra work … this time. Usually, in a case like this, I pass. 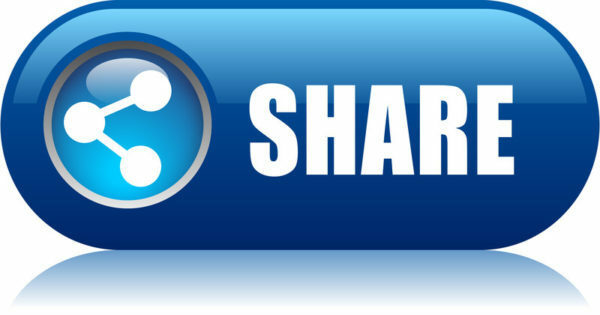 The most important share content buttons for you to have are Facebook, Twitter, Facebook Like, and Google Plus. There are numerous other buttons you can also use like Digg, StumbleUpon, and LinkedIn. Try to know which tools your audience uses. When in doubt, err on the side of using more share tools rather than less. Your web developer will have tools that can be plugged into all your web pages. If not, you can go to AddThis.com and get some code that you can embed on your pages yourself. EASY WEB TIP #148: Make sure that all the important ways to share your content are on all of your web pages.